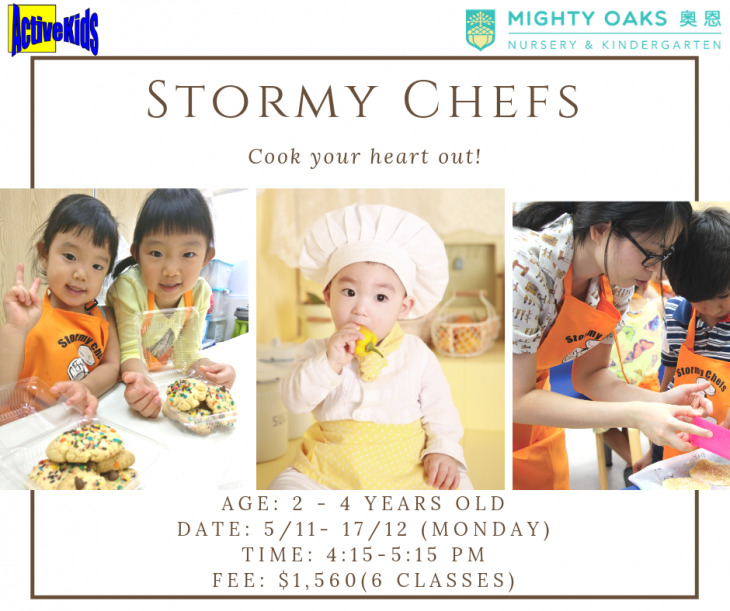 Stormy Chefs teaches 2 - 4 years old children about food! Our budding chefs will learn simple cooking techniques and explore different topics in food nutrition, hygiene, and dining etiquette. Children can also bring their delicious food back home to share with you. *All participants will receive recipes from ActiveKids and an apron. BY HONG KONG MTR (MASS TRANSIT RAILWAY)：Less than a 5-minute walking distance to Exit B, Kennedy Town MTR Station.